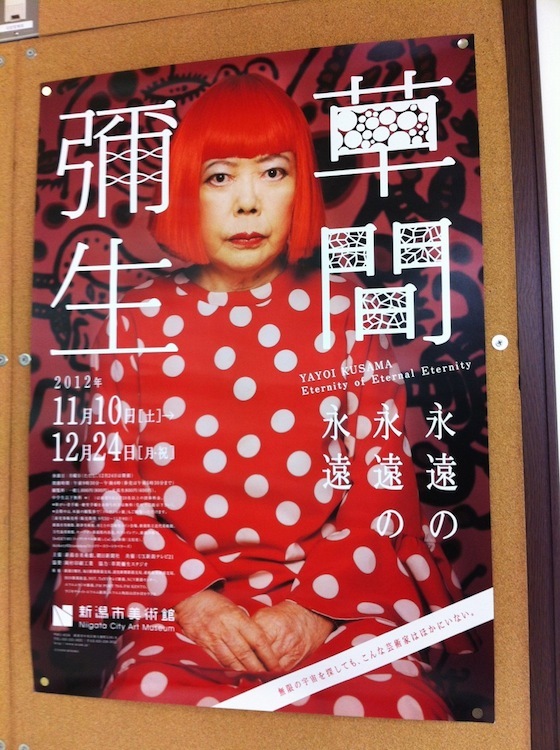 Everywhere we look we see Yayoi Kusama. From little reminders to large installations to retrospectives, the 83-year-old Japanese artist has saturated New York City. We spotted a couple of her books in the window of 192 Books on Tenth Avenue in Chelsea. Wearing a bright red wig, she gazes upon us from a billboard at a bus stop. 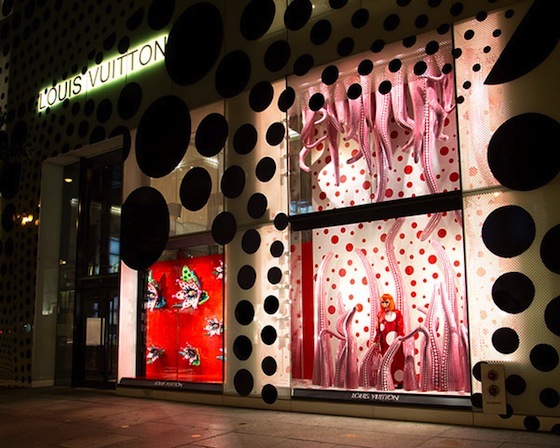 A wax figure of the prolific painter, sculptor, and performance artist and her signature polka dots occupy window space in Louis Vuitton’s Fifth Avenue shop, where the French fashion label houses the Yayoi Kusama women’s collection. 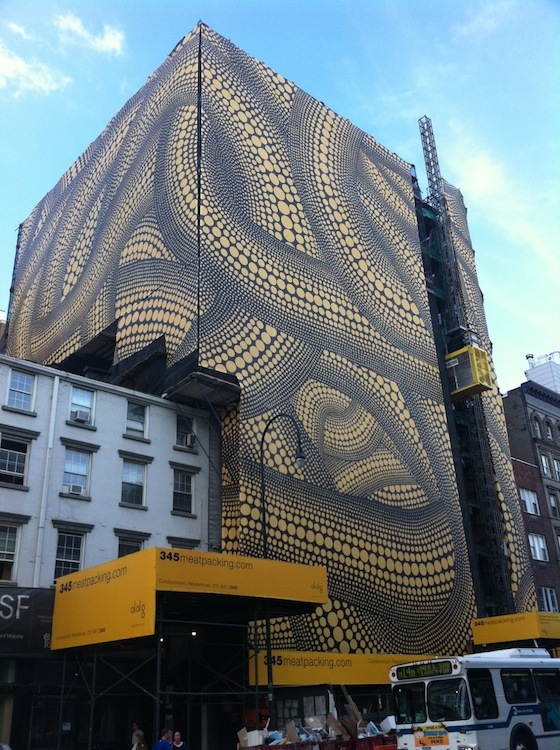 A 120-foot version of her netting artwork Yellow Trees, commissioned by DDG Partners, drapes the new construction site of 345 Meatpacking on 14th Street at Ninth Avenue. 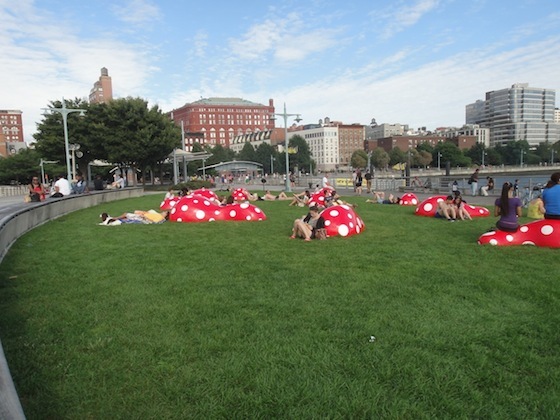 Her toadstool-like installation Guidepost to the New Space (2004) dots a strip of land at Pier 45. The special outdoor art project is a collaboration between the Whitney Museum, Hudson River Park Trust, and Gagosian Gallery. JapanCulture•NYC even made a little video about it. Of course, this is all for Yayoi Kusama’s retrospective at the Whitney, which is the only part of the Yayoi Invasion that we haven’t seen. We need to hurry because the exhibition closes on Sunday, September 30. 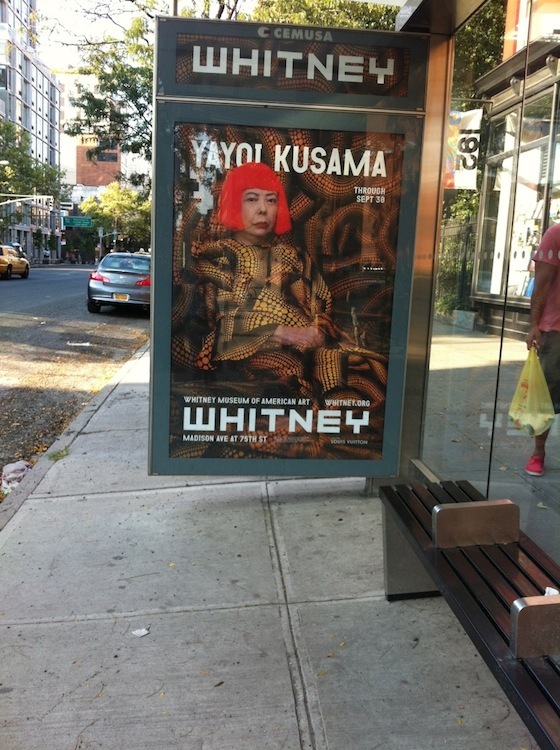 While Yayoi is everywhere in NYC, she won’t be for very long. 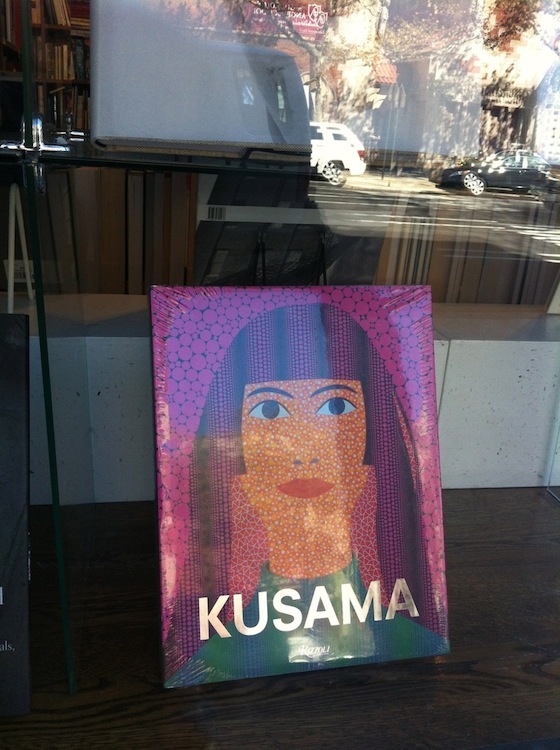 Oh, we even spotted this poster at a bookstore in Niigata on a recent trip to Japan. Yayoi is everywhere!